The Academy Awards are a mere two days away, which means we film buffs are a mere three days away from rebuking them. We admittedly don’t give the Academy enough credit for how much they actually get right; as much as we mock the Oscars, they still aren’t the Grammys. But even before the curtain is drawn in the Dolby Theater, a number of fine films have already been left out in the cold from the nomination process. This film is a showcase for the best young talents in American cinema; you just don’t know it yet. Neither does the Academy. 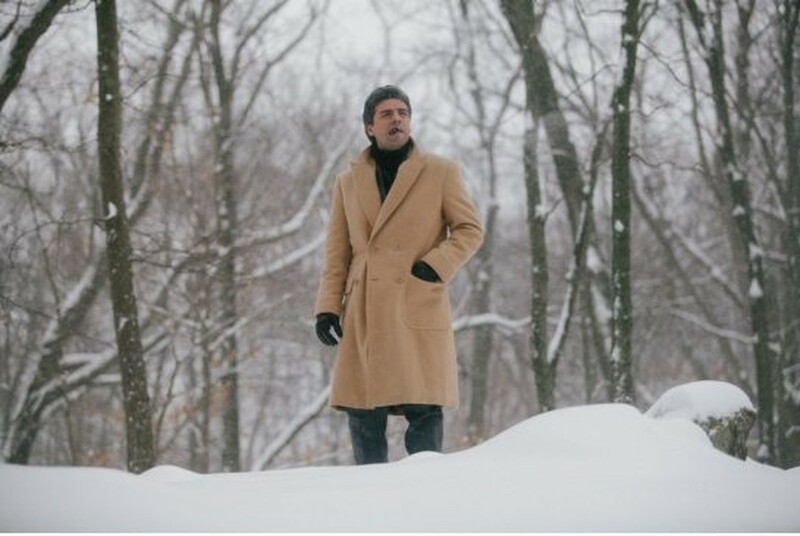 It is only director J.C. Chandor’s third feature film, but it shows the patience and craft of a master practitioner. Cinematographer Bradford Young has the dubious distinction of being twice snubbed in the same category, failing to receive a best cinematography nomination for his work here and in Selma. Lead actor Oscar Isaac doesn’t have mainstream recognition, but he is currently the best actor in the world. You think I’m exaggerating, but he can communicate more in a glance or a slight inflection of his voice than several Oscar-nominated actors can by screaming, crying, or waving their arms up in the air (all of them rely on some combination of those techniques). Sadly, this film amounts to a little less than the sum of its parts. It is still terrific, but not the game changer it could have been. Set in New York City in 1981, it follows Isaac as Abel Morales, the manager of a formerly mafia-run but now legitimate heating oil business. As such, it is something of a “post-mobster” film, as none of the characters actually engage in organized crime but the specter of that sordid past claws at them from the shadows. It can be a bit slow at times thanks to its commitment to subtlety, but few films can use so few words to say so much about the American dream and the costs of pursuing it. This film is too dark for the Oscars. And I don’t mean that in the film snob–esque “the old guard can’t handle Tarantino” kind of way. I mean this film is sickening and difficult to watch. Blood and guts don’t fill the screen, but rather the viewer’s imagination—with images suggested by the muffled screams of women and the taunting of their killers. It is difficult for me to actually recommend this film to anyone, despite the fact that I think it is one of the year’s best. Based on the novel of the same name by prolific crime writer Lawrence Block, the film stars Liam Neeson as an unlicensed private detective hired by a drug mogul to track down his wife’s killers. First- time director Scott Frank shows an astonishing attention to detail that even some of this year’s best director nominees (I’m looking at you Morten Tyldum) do not seem to possess. The camerawork is silky smooth and Frank carefully constructs each shot to parcel out critical information in increments, often ending shots at just the right moment to send chills up the spine. It’s not for the faint of heart, but this is the pulpiest, darkest thriller that I saw in 2014. I mentioned this film when I wrote about the notably white Oscar nominees a few weeks ago. I said it then and I stand by it now: This is the funniest film of 2014. Written and directed by Chris Rock, the film also stars Rock as a former stand-up comic attempting to carve out a serious acting career while hashing out his personal problems. The subject matter may be somewhat vacuous—the only thing that makes celebrity ennui more interesting than white suburban ennui is cocaine—but Rock has a good eye for social satire, and he has surrounded himself with talented performers at every turn. While Rock can hit a joke like few other living comedians, his dramatic acting chops are not on the same level as other Saturday Night Live alums like Bill Murray or Adam Sandler (No, I’m serious. Go watch Punch-Drunk Love). His directing also leaves something to be desired, as he seems content with the Woody Allen approach of rolling the camera and letting the actors do the work. Thankfully for Rock, it works. This film is about authenticity, so it’s fitting that Rock never strays too far from his comedic roots. Sometimes sad, always absurd, this is a slice of Rock’s worldview not filtered by the smoky haze of a comedy club. History won’t necessarily remember these films, and the Academy certainly won’t, but I will. There’s a lot more to movies than who gets the golden trophy at the end of the year, and I’d recommend these ones over a lot of the stale Oscar bait that will get the spotlight this Sunday.